We all know that demands for temporary staff increase as Christmas approaches and logistics and delivery businesses need extra help to cope with the higher demand. But are you also aware that there are definite seasonal recruitment peaks and troughs throughout the year that could have a direct effect on your business growth plans? For example, the New Year has long been a focus point for change. Businesses are looking for improvement on the previous year's figures and employees are also considering their New Year's Resolutions and are more likely to develop itchy feet and consider looking for greener pastures. February and March are busy times for the accountancy sector looking to file tax returns before April. Some businesses with unspent budgets may use the spare money to grow their team and also all businesses are now able to confirm their figures and feel confident in their following tax year budgets. Often this can lead to a spike in recruitment. Historically, there tends to be an increase in construction projects in April as the British weather starts to improve and, of course, the run up to Easter may also see an increase in temporary jobs. Whilst many people associate the summer months with holidays and a drop in recruitment, it's easy to the graduate intake. "Finals" and graduation ceremonies in May and early June cause an upsurge in graduates looking to start their careers. The more ambitious and forward-thinking graduates may have already started their job search in January and so it's important for relevant companies to have an attractive graduate recruitment strategy already in place. The summer months traditionally see a rise in recruitment for the tourism industry, particularly for temporary positions. So why is this so important? Because so many jobs are not advertised and great candidates are approached directly ensuring the best talent goes to the clients of the best recruiters. Otherwise companies compete with every other business for the candidates available at peak recruitment times. They simply hope they are attractive enough to win the right person rather than having a more strategic, and ultimately successful, approach to recruitment. 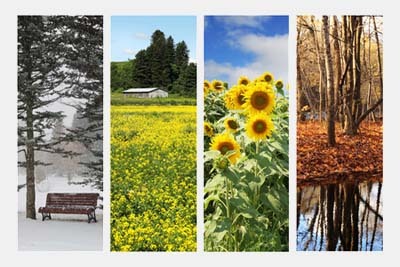 Great recruitment agencies understand how seasonal variations will impact their clients in each sector. They understand the clients business as a whole and will help their clients to plan their recruitment strategy over a minimum of twelve months and often for the next three years. This means that clients will always get the best pick of the talent and will develop a proactive plan to recruit the best people - often "out of season". Without a detailed understanding of the peaks and troughs of the calendar year, many companies will work really hard but ultimately fail to attract the best candidates and also run the risk of making expensive hiring mistakes. With 20 years' experience of recruitment, the team at Jackie Kerr Recruitment are the experts in taking advantage of seasonal trends so call us for a chat on 01793 762026 or email Jackie and her team at: jackie@jackiekerrrecruitment.com.